It’s been said that “if something doesn’t challenge you, it won’t change you.” That is especially true of a challenging run. Fortunately, Chicago is a great city for runners who want challenges. One of the most exciting and challenging runs in Chicago is its marathon. The Chicago Marathon, hosted in the fall, has a 26.2-mile route that traverses a variety of Chicago’s many neighborhoods. The world’s most elite runners complete the course in just over two hours. Mere mortals have up to six hours to finish. Last year, over 44,000 runners ran. While your time might not compete with the best, just signing up and finishing is a worthy goal. Residents at The Paragon have many excellent runs nearby. For long-distance training, it is hard to beat the beauty and length of the Chicago Lakefront Trail (LFT). 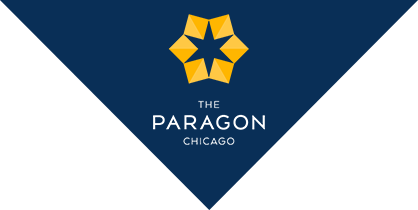 Spanning the distance from Jackson Park in the south to Edgewater in the north, this 18.5 mixed-use trail passes many of Chicago’s parks, harbors, beaches and cultural landmarks, including the Shedd Aquarium and Navy Pier. Nearby Millennium Park and Grant Park offer shorter, three to five-mile loops, with plenty of public art to see and options to add more mileage. Or head over to Northerly Island. Need new shoes, running clothes, or any other running-related gear? Check out the selection at Fleet Feet. Here they won’t let you buy shoes based upon the color, but they will help review your gait, looking for where your foot strikes the ground and issues like overpronation, to help ensure you get into the shoes best suited for your running style. Weather can affect your plans to run. A Sweat Life offers useful tips for winter running. The state-of-the-art treadmills in the fitness center located in the The Paragon offers a place to get in your miles, rain or shine. Other helpful resources for runners located in the Chicago’s South Loop include Runner’s World and Chicago Area Runners Association (CARA). Both offer information on local events and races, training tips, and other running-related resources. Share your Chicago runs on Twitter at #runCHI.